Now the reason for this is because you have made a lot of effort. You may be thinking, “Whew I am glad that’s over! They bought something and now I can move on.” But no. That’s not it. There’s more. At this point, they have just started to trust you by buying from you, so they are very delicate and very sensitive. They don’t know you that well yet. Put yourself in their shoes — would you feel comfortable digging into your pocket and pulling out your wallet to spend loads of money with someone you are not that comfortable with yet? We all know the answer — no absolutely not. Think of it from their opinion and try to never upset them. Remember on Tuesday I said to give them their opinion of you and deliver it just like that. Make sure that they get exactly what they want. You can ask them afterwards via phone, in person, via email — ask them to rate your service and to let you know if they got all that they were hoping for. This is how you make sure you are giving them everything that they are wanting, just don’t risk upsetting them. Don’t think you can’t ask them if there was something they didn’t like. That won’t upset them. By that point, they are already upset, so them telling you what was wrong or what they did not like will give you the chance to say “sorry” and promise to fix it in the future. Okay — I know you have heard the old saying, the customer is always right. However, that is not always the case. Many times the customer is not always right, but you should never let them know that. You should never ever disagree with a customer’s opinions. They are entitled to their opinion. It counts and their money pays your wages and keeps your company running. 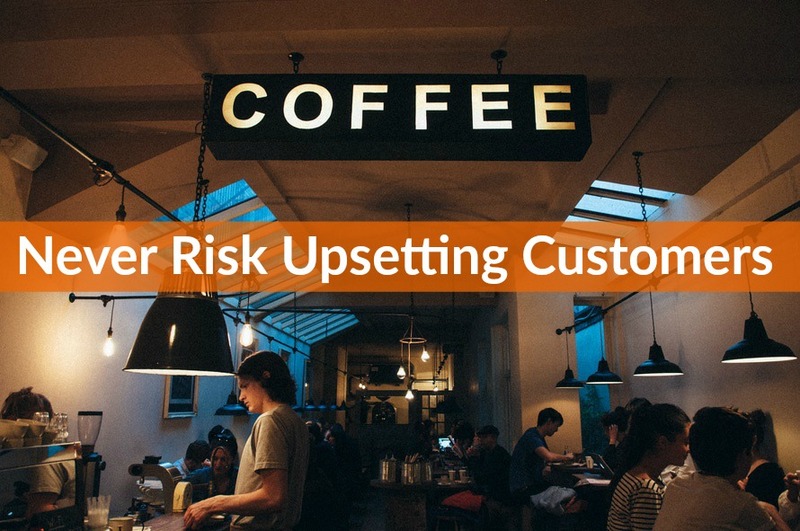 At this point, you have no clue why or what that customer is about so why risk it? At this point, the customer is right. When they give their opinion and it is something that they disagree with, first of all agree with them and thank them for pointing this out to you. Next, ask them for a bit of more detail as this shows you care. Then all you need to do is answer those questions or details and explain what you are going to do to make sure this never happens again. There is no need for little digs or snarky comments or letting your pride get in the way. Whatever it is agree with them, thank them for it and then fix it. When you fix it, then call them and let them know you fixed it. They will be pleased. You can even send them a little gift. Think about yourself the last time you called and complained about something. How did it make you feel when the person on the other end acted like they did not care and they did not get it? I recently had this happen to me regarding some images and pages that were copied from my fire extinguisher site to someone else’s and the lady on the other end of the phone was very snarky and basically blamed me for it and then told me I had no business looking at her website anyway. Anyway — the moral here is don’t upset your customers. Treat them with kindness and respect and do everything you can to make them happy and they will in return keep buying from you for years to come. Today is Thursday and that means it is time for a drive time podcast. Today for any of you who get confused by SEO. 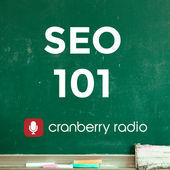 So today, I want you to look up SEO 101 podcast by Cranberry Radio. It has been around for years. It is extremely good and they keep it simple. It is for beginners and has so much great information. It is fantastic advice and everyone — seasoned and newbie SEO users can benefit from listening to it. Tomorrow I will be back with more great tips! Have a great day and I will see you soon.